One of my favorite parts of my visit to North Carolina a month ago was meeting with the caterer and tasting some scrumptious dinner possibilities. I tasted two chicken plates and a vegetarian dish. Since I don’t eat meat, with the exception of poultry and some fish, and we have several vegetarian friends, it was important for us to find the right chicken plate and the right vegetarian dish – so as to appeal to as many palates as possible! 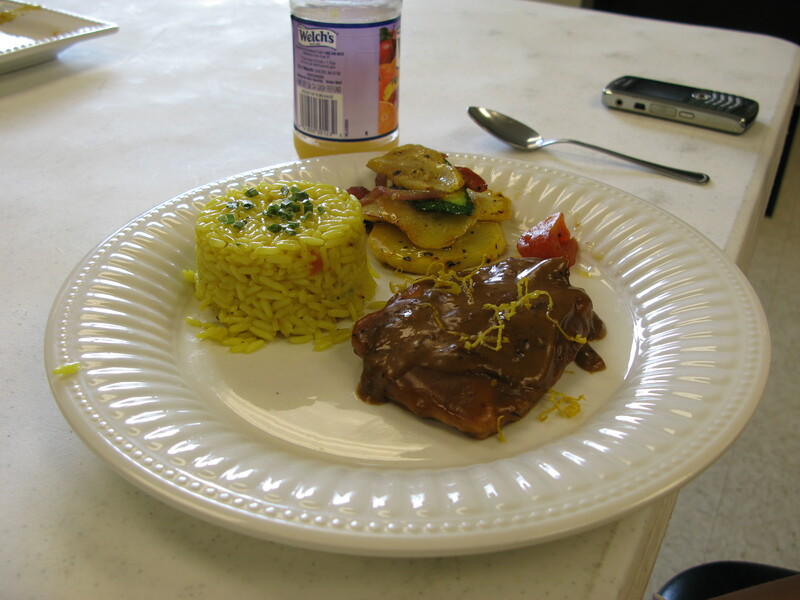 The second dish was a yummy lemon chicken concoction, paired with yellow rice (which I’ve always loved!) and a veggie assortment. 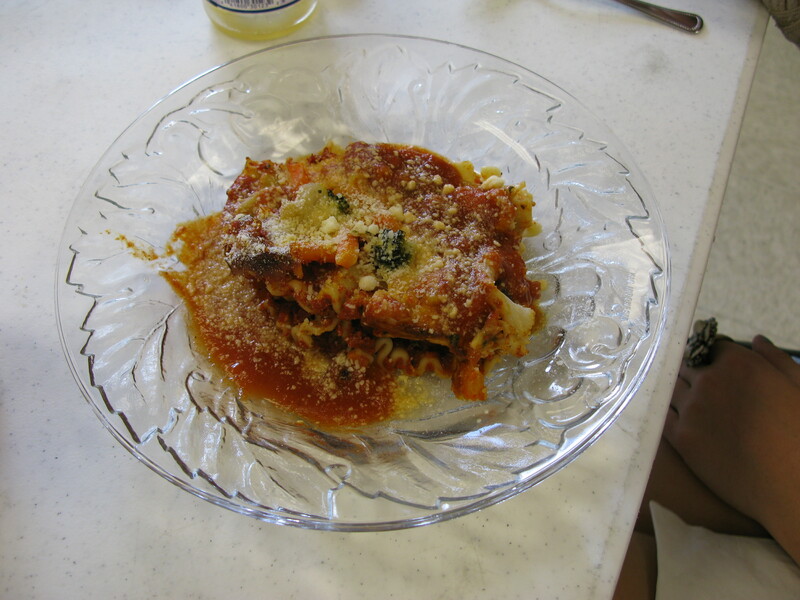 And the third dish was a tasty vegetable lasagna, which seemed like it would appeal to veggie-loving friends and meat-eaters alike! It was nice to have the opportunity to sit down with the caterer, talk about the dishes in detail and then get a chance to actually eat them myself. Food is important to both the Beau and me, and we want to be sure to serve up something yumilicious. The caterers have been fantastic so far in helping us create a delectable food experience for us and our guests! This entry was posted in Uncategorized and tagged caterer, food, wedding. Bookmark the permalink.